Tough Mudder is in the middle of its busiest ever year. 120 events in 10 countries across the globe for 2016 certainly proves that the event itself has become as much of a beast as some of its toughest obstacles. The first event designed to test "physical strength and mental grit" took place in Bear Creek, Pennsylvania back in 2010 and since then, more than 2.5 million people have attempted to tackle the Tough Mudder course. This weekend marks the last of the Tough Mudder Half events for the year (taking place in Crawley) - but don't think that Half means easy; it's still 5 miles long and packs in 13 obstacles. Tough Mudder full size (10-12 miles, 20+ obstacles) returns to London South on 24 and 25 September, with around 20,000 to take on the course. We spoke to Nikki Emmans, VP of Marketing at Tough Mudder, about what this year's entrants can expect. "Our biggest and final event of the year will happen this Saturday at Tough Mudder London South Half," Emmans told us. "This year we also introduced new obstacles – including the highest-rated obstacle in Tough Mudder history, Block Ness Monster, a series of rotating blocks in a pool of waist-deep muddy water, only overcome with teamwork. We've had a great reception from fans so far and are excited for our Mudders at the last event of the year to have one more go." Obviously Tough Mudder isn't for couch potatoes but, for anyone thinking they need ironman levels of fitness, think again. 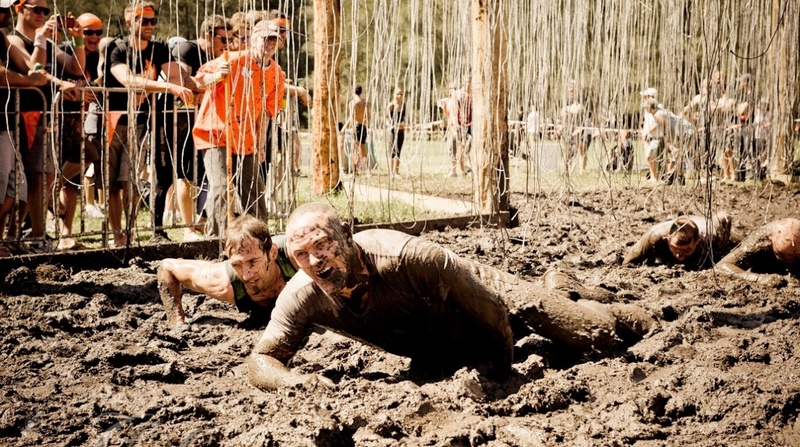 "Tough Mudder is truly an event for people of all walks of life or athletic abilities," explained Emmans. "Tough Mudder challenges aren't a test of how quickly you can complete the course - it is not a race or about how fit you are - the goal is to finish and work as a team. It's not about keeping score - or time, there is nothing to 'beat' except your own fears." If you're looking for a helping hand in training, Virgin Active has developed a class called The Mudder Maker. It's a mix of cardio and core, and exercises that use a combination of biometrics, making sure you have all round physical fitness. You might think that you'd be better off leaving your wearables at home but that's not the case. "If you're looking to wear a fitness tracking device on course, we would recommend you choose one that is waterproof and can withstand the physical demands of completing an obstacle course," said Emmans. Wareable wore a Sony SmartWatch 3 for the London West event back in May 2015 and it lived to tell the tale. This year we'll be donning a super tough Garmin Fenix 3. Check out our pick of the top sports watches for endurance training and events. You can still sign up for this weekend's event but if that's a bit too soon, there's plenty of other Tough Mudders taking place in 2016 for you to get involved in. Come on, don't be such a wuss….